By Mark Bergen . Published on February 25, 2015. 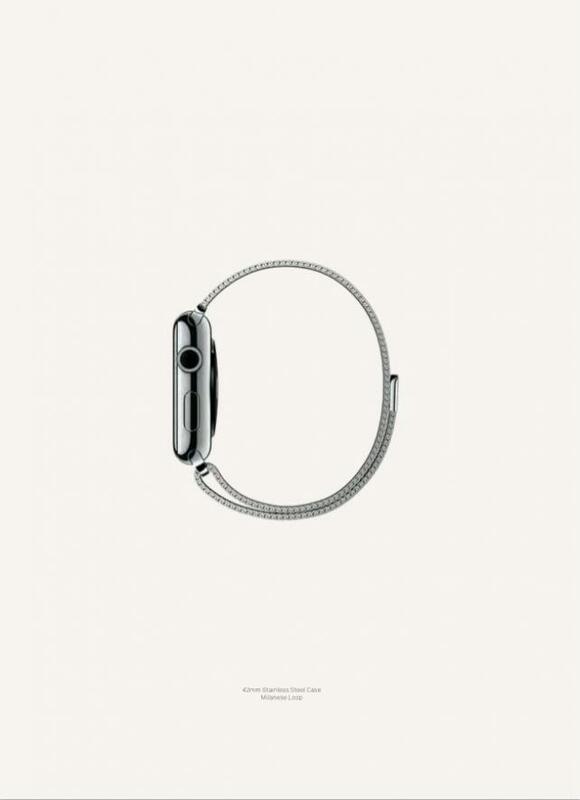 The first marketing for Apple Watch has arrived in a customary form for the brand: glossy print ads. The March issue of Conde Nast's Vogue includes 12 pages of advertising for Apple's upcoming device, set to go on sale in April. The three versions -- the leather-bound standard model, a rubber-banded Sport and a golden, luxury Edition -- appear against stark white backdrops. Apple's appearance in Vogue's March edition puts it in the company of European fashion houses and high-end luxury brands, which pour into fashion magazines' March issues to preview their spring collections. 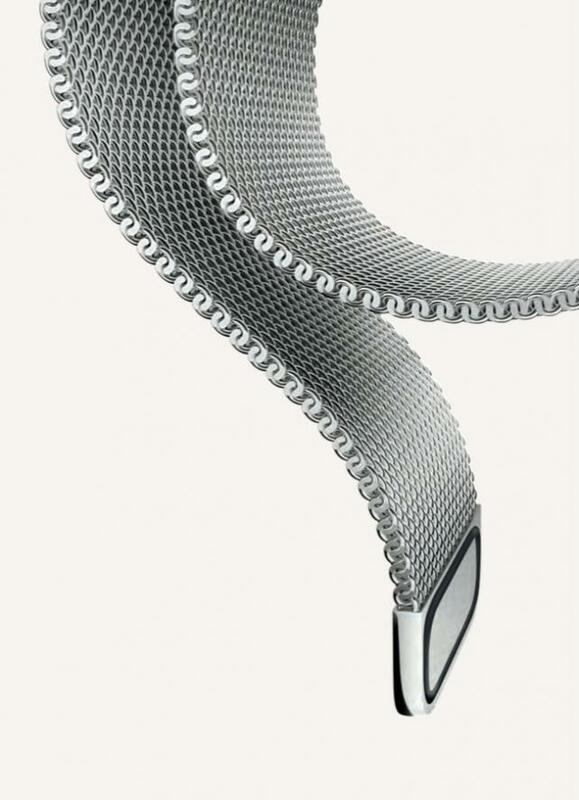 Last week, the Watch received editorial treatment in Vogue sibling Self magazine, where model Candice Swanepoel donned a white-banded version. 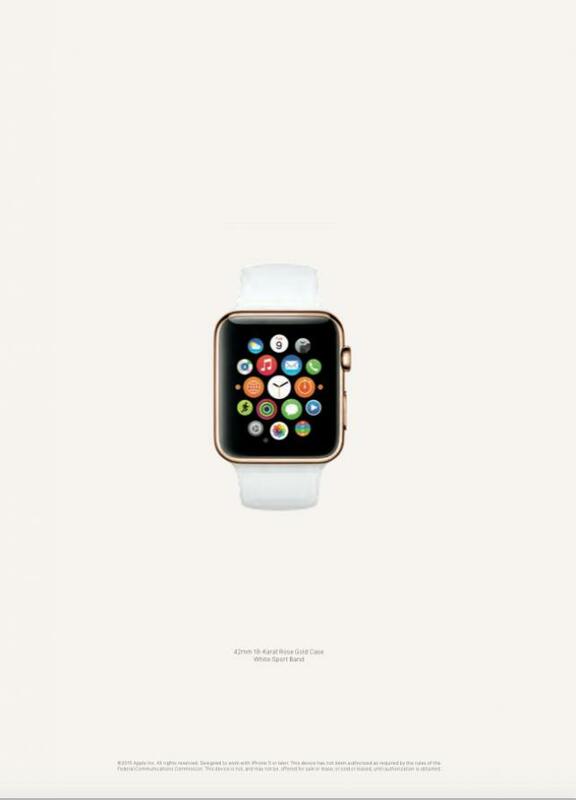 The tech press breathlessly reported that the Apple Watch had made its U.S. cover debut. 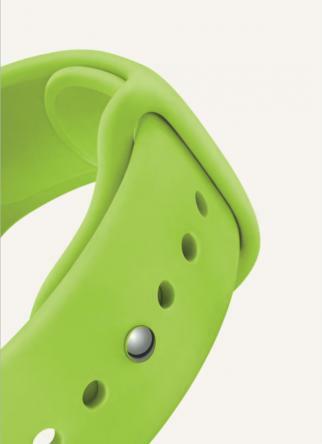 In fact, it appeared on the magazine's third cover, which means newsstand browsers would only see the Watch if they flipped to the third page. Ads for the Watch did not appear in Self, a spokeswoman for the magazine said. 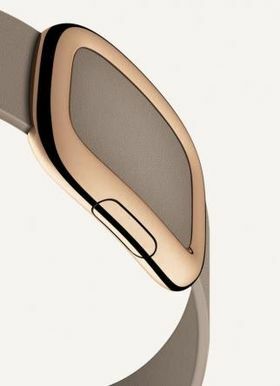 In October, the Apple Watch did land on a front cover, on the wrist of supermodel Lui Wen on Vogue China. 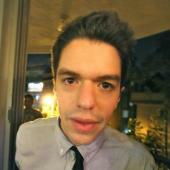 Vogue is an expected fit for Apple's wearable entrant. Anna Wintour, the magazine's longtime editor, has angled to position the publication as the most tech-savvy among fashion books. A 2013 issue featured a 12-page editorial fashion spread of another buzzy tech accessory, Google Glass. The magazine also recently teamed up with startup Postmates, which offers to hand deliver the March issue of Vogue to readers in New York and L.A.